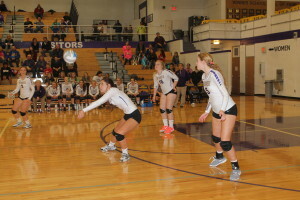 Sydney Fritz of Winner is one of the top volleyball players in South Dakota. She will be honored on June 3 at the South Dakota sports awards program. The ceremony will be held at the Sanford Pentagon in Sioux Falls. In addition to Fritz, the top volleyball player selected include: Shelby Zomermaand of Sioux Falls Christian; Jenna Reiff, Chester High School; Brianna Kusler of Aberdeen Central and Miranda Gallagher of Lead/Deadwood.